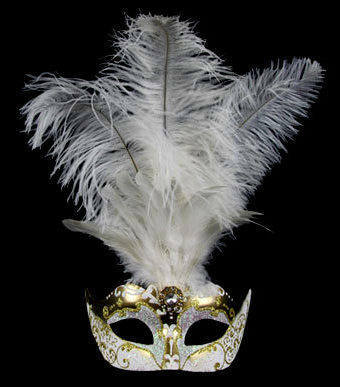 Perfect for brightening up the dullest party, this stunning Stella Feather Venetian Masquerade Mask with beautiful plumes will add a vibrant pop of colour to any outfit. 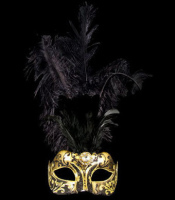 Always shimmering in the distance just out of reach, the rich colour tones and flecks of golden glitter conjures images of a dazzling desert oasis. 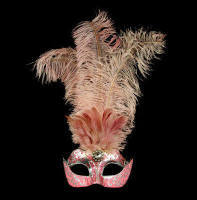 One of most popular feather masks as if goes with most outfits. 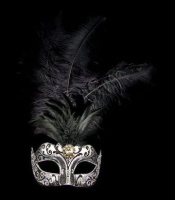 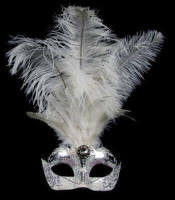 Black Satin ties allow for this mask to be adjustable and comfortable and worn by a wide range of women. 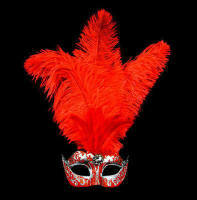 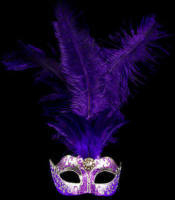 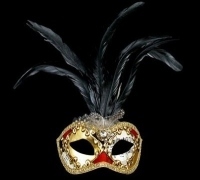 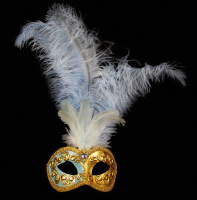 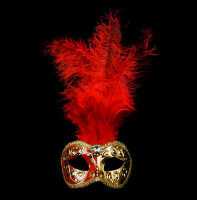 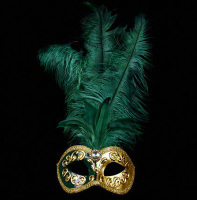 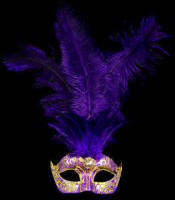 This mask is perfect for any masquerade event and is sure to impress with its striking colour and elegant design.